“I don’t care for long reviews. 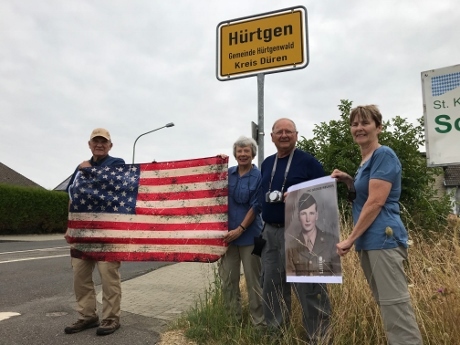 Therefore – here is the bottom line” If you are considering touring the Battlefields of the Ardennes (Battle of the Bulge), let David Martin of WhiteCross Battlefield Tours be your guide. I haveread many books regarding the Ardennes offensive, but now I have an entirely new perspective on the battles, since taking the tour with David. He wil provide a personalized, comfortable, enjoyable and educational tour, that you will never forget. If you have any specific questions, or if I can provide any further information, please contact David and he can put you in contact with me. 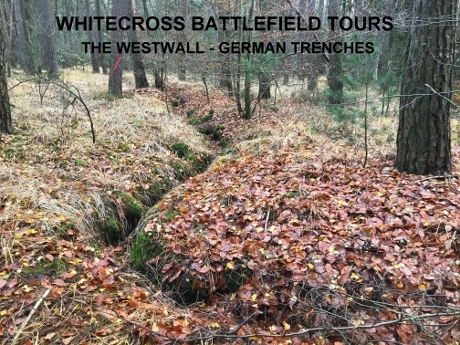 I am very appreciative and highly recommend WhiteCross Battlefield Tours. “Thanks David for a fantastic time in Bavaria and Prague ! 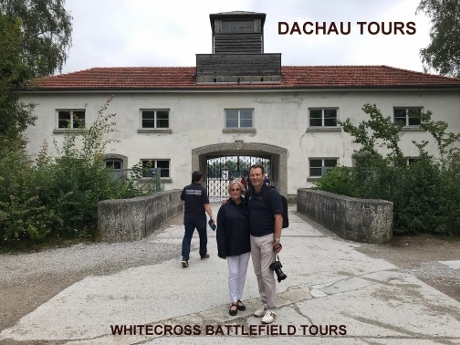 We chose David’s “Third Reich Tour” and “Heydrich/Terezin/Prague Tour” combined. The places we visited were amazing. We had lots of fun and stayed in some lovely quaint places. Especially enjoyed the visit to Hitler’s Berghof ruins in Berchtesgaden and the Eagle’s Nest. Stunning scenery and lots of history. The Heydrich tour was fascinating ! a wonderful story of bravery and heartbreak. The food and beer were superb. See you again next year we hope”. 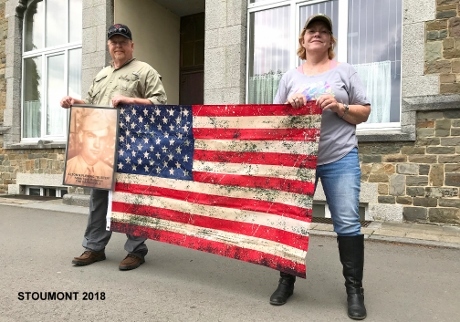 “What a fab time we all had on your battle of the bulge tour. Met some lovely people and were shown some incredible sights. Loved all the artefacts you showed us and thanks for organising such an action-packed 5 days ! Your knowledge of the area was superb. To see where Tom’s grandfather actually fought in battle was unforgettable. Thanks also for taking us to Henri-Chappelle to visit his grave and place a wreath. We will never forget this experience and would happily recommend you to others. Keep up the good work. We have some wonderful photos and memories that we will cherish”. 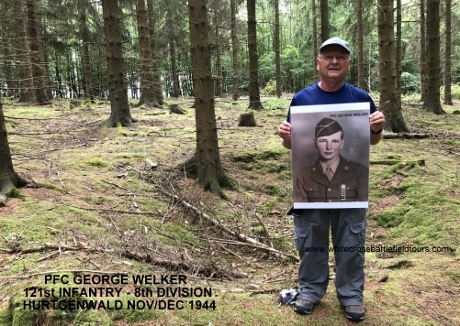 “Had a fantastic Hurtgen Forest Tour with David in October 2018, re-tracing my father -Henry D. Herzfeld’s steps in the Hurtgenwald (330th Infantry -83rd Division), namely in the Strass area, where he fought in Dec 1944” A great very knowledgeable and passionate tour guide ! David is also an excellent photographer !